S2K Enterprise software provides a powerful, yet easy to use work order processing application to address all aspects of the creation of a manufacturing order. 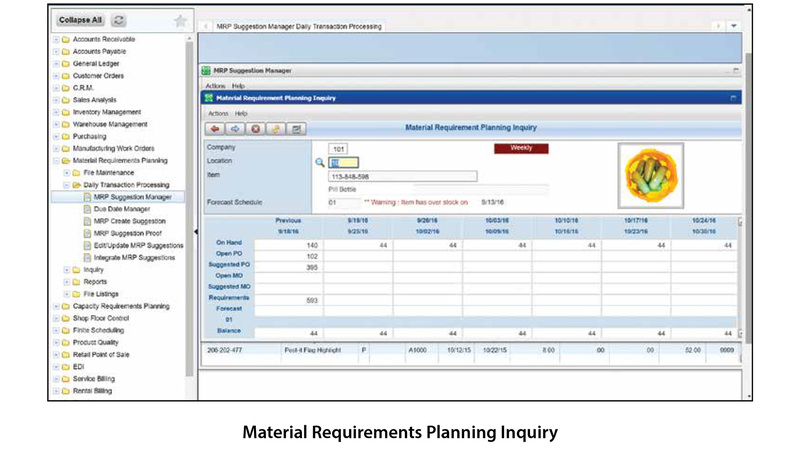 S2K Manufacturing Work Orders software supports multiple Bill of Material (BOM) for one finished item. In addition to multiple engineering and production revisions, users can configure a custom BOM using unlimited features and options directly from order processing. Work order processing allows companies to generate orders to stock, made to order (MTO), or planned orders, all from one screen. For each finished good, users can drill down to material availability, costs, select substitutes, and even create or change routing steps based on capacity. Order status screens allow inquiry into orders with shortages, and material commitments, and show the effect on scheduling, as well as many other functions. Workflow triggers help control and enforce work practices around the enterprise as they relate to the design, manufacturing and support of engineered products by notifying management of critical issues through alerts and conditional e-mails. S2K Manufacturing Work Orders software also includes a production cost program that closes the loop of manufacturing and accounting. It posts production costs to the General Ledger for inclusion in financial statements. Manufacturing variances are calculated for material, labor, and overhead. Extensive management reporting includes standard vs. actual analysis, material variances, scrap reporting, labor efficiencies, etc. The result is a top-level overview of production efficiency. S2K Shop Floor Control application allows you to record both material and labor usage on the shop floor. With its browser-based design, users can collect shop floor data on tablets or mobile devices, and use hand held scanners to clock in and out of routing operations. Tight integration of components allows you to monitor and carry out business in real-time. S2K Shop Floor Control will immediately update production progress, material usage, and the available capacity at a given machine / work center / department. Extensive inquiries and reporting exist to allow you to monitor employee productivity, material variances, and comparisons of actual versus standard cost. In addition, interfaces to various payroll programs are available. This fully integrated shop floor control solution is your turnkey platform for more efficient and streamlined data collection and monitoring. S2K Product Quality application is completely integrated with S2K Inventory, Purchasing and other manufacturing applications. The product quality application allows you to establish and track an unlimited number of user defined tests and group tests for specific industry requirements. Users can assign tests or groups to specific items and track the results, and the disposition of both received goods and finished goods throughout the manufacturing process. Results can be pass/fail, table values, or a range of data. Upon receipt of a quality controlled item, the lot will be placed on quality hold pending testing. Until all tests have been passed, the product can neither be consumed in manufacturing nor sold. Quality failures can automatically trigger a purchase order return to vendor. Within manufacturing, quality tests can be performed during any stage of production. Quality failures can automatically re-route production to a previous operation or flag the item as scrap. In addition to the historical storage of this data, the product quality application can produce a Product Quality Certificate (C of A) indicating all tests performed as well as their individual results. With S2K Product Quality you’ll gain valuable data you can use to track and improve quality control at all points of the manufacturing process. S2K Finite Scheduling application creates a finite capacity schedule based on the planned capacity reflected in the shop calendar for each department/work center/machine. By establishing rules for each production facility, the finite scheduler will generate a schedule of orders in the desired sequence using a finite forward method. The rules may include virtually any field in the system (due date, priority, user defined fields, etc. ), and may be sequenced by the user. The goal of finite capacity scheduling is to ensure that work proceeds at an even and efficient pace throughout the plant. Typically, the manufacturing orders are sequenced first by line item due date. Manufacturing orders are sorted by the finite scheduler beginning with the earliest work order line item due date. Thereafter, the additional rules are applied, and when the process is complete, a schedule is presented. The user maintains the ability to override any of the scheduled entries. An electronic scheduling board provides a graphical view of all jobs currently in production.